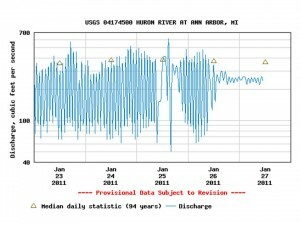 Water levels on the Huron River fluctuated wildly downstream of the Argo dam. 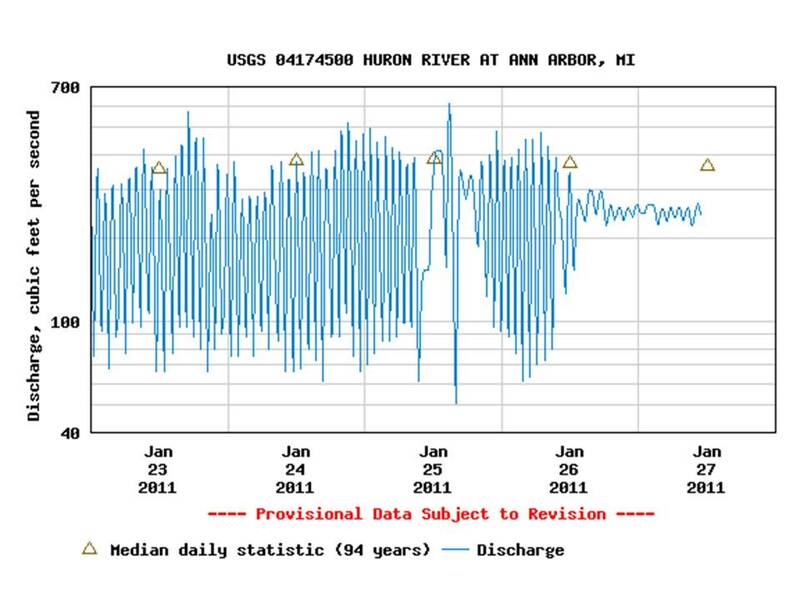 Water levels on the Huron River in Ann Arbor (see graph) began fluctuating wildly late last Saturday (1/22), according to a stream gauge monitored by the US Geological Survey. At peak flow levels, water discharge reached near 700 cubic feet per second, a high water mark with conditions that make it difficult and dangerous to wade in the river. At the low water mark, less than 70 cubic feet per second of water went down the river, leaving the bottom of the river mostly dry. The changes happened within minutes, a most unnatural phenomenon. Last week, the City of Ann Arbor had crews and contractors out to try to fix the problem but they couldn’t find a solution. On Tuesday, Feb. 1 , a diver will try to find a 1 1/2-inch intake pipe that leads to the transducer that controls the dam’s gates. These rapid and extreme fluctuations are catastrophic for the aquatic life downstream of the dam. Any fish that cannot make it to deeper water will die from exposure while the river goes dry, and many aquatic insects that still are active on the stream bed, can be scoured away as the river gushes.  These events affect aquatic insects more in the winter than any other time of year because most mayflies, caddisflies and stoneflies are in there larval and egg stages clinging to rocks on the bottom. They can be flushed out very easily. During the summer, they are fully grown larva or adults able to swim to deeper water. Erratic stream flows in this reach of the river are happening with unfortunate regularity, posing significant risk to aquatic life, human lives and property downstream, and adding considerable costs to maintaining the dam.